Well begun is half done! You might take your favorites to start a powerful blogging business. 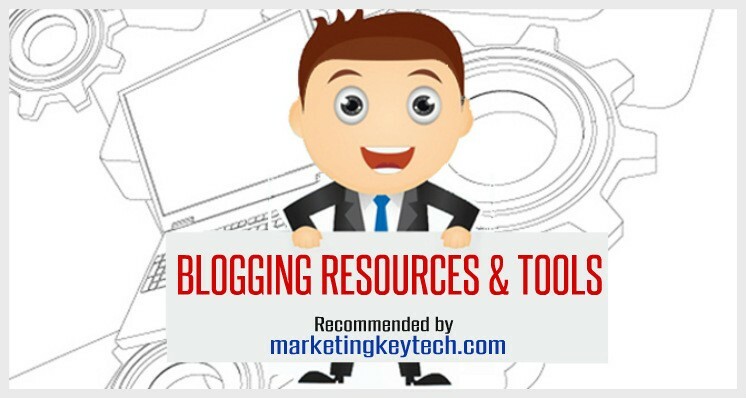 Here an ultimate list of 115+ highly productive blogging resources, blogging tools and WP plug-ins for beginners are recommended by Marketing Key Techniques in step-by-step starting a blog. If you couldn’t think your blogging is a business, you couldn’t recognize you are a competitive affiliate. Because of day by day, blogging is growing in the world with harder competition. Your significant strategy and opportunity both are importantly needed to use in time, with cost and right efforts. A blogger or an entrepreneur always stay ahead and count multiple times of profit from his blogging business due to using appropriate tools and resources. While a blogger pays his day-night hard working time without using the right tools, then a sagacious entrepreneur might travel around the world trusting on his tools and resources using in his dozens of blogs. This is a matter of brilliant business decision comes out measuring adequate ROI from each of his alternative project models. How you can start your best model of blogging that includes quality free blogging tools for beginners and powerful blogging resources depend upon your own firm decision over an adequate study on the things and alternatives. You might brainstorm within your expertise what area is your most creative passion that solves a significant number of people around the world. You might make a major list of them. Then using the key terms of the each passionate and skilled-zone you might follow the below tools & resources. Buzzsumo is a powerful online tool that works for any user to find out what topic is popular in major social media. Using this tool you could discover your significant blog name. It is one of the best blogging tools for beginners to take the topic idea as well. You can use Keyword Planner, powerful free blogging tools to help you get a significant name from the competitive or less competitive keywords considering search volume and new keyword ideas. Google Trends is a systematic web facility of Google Search that provides how often a particular search term is being reached in the Google knowledge graph relevant to the total search volume around the world. You might target some of the most potential search terms before final selection to get feedback on the availability or competition from the Google trends. Feedly is the world’s most popular content directory that shows you could find the latest article flows. The at-a-glance list of the titles could help you provide a hint of what will be your possible title for next write-up. No delay, you might check out the current flow of the titles now just signing up shortly. Alltop is a very potential area you could discover your blog name. It is a great directory of blogs and news sites used to display the most recent five headlines of the blogs. You could compare your own expertise and passion for deciding a blog name using a huge number of blogs and news sites. GrowthHackers is a platform where high-quality articles are trending on growth hacking, marketing channels, Blog post promoting, user acquisition, engagement, product launch and more. Using this site you could find a significant topic for your blog name or post title as well. To get the weekly top posts you could subscribe there whereas, over 70,000 growth pros from companies like Uber, Pinterest & Twitter trend their article in the GrowthHakers. Yes, it is our best choosing platform, one-fourth of the world websites using this and we recommend it firmly. Because it is simple, leading CMS in the world, full control, free and priceless. You need not be worried a bit to operate it, you could manage it without having any coding skills. Though WordPress.Org platform is free, you’ll have to buy the unique domain name and reliable web hosting from other company yourself. Pick out this blogging platform when you want to self-host your blog. NameCheap features include WordPress, 100% uptime guaranteed, unlimited traffic facility, cheap price, shared hosting $2.88/mo, quality speed, reliable security, and 24/7 excellent technical support. iPage is one of the best alternatives, 100% green web hosting – powered by 100% wind energy. Green certify your website & get hosting that works for only $1.99! You can take advantage of a secure infrastructure, affordable price, and 24/7 US-based quick support via phone/chat. There is no cap on the disk space and free domain registration. iPage emphasizes on creating an easy-to-use hosting experience for technical starters. It has so many other tech facilities. Learn details. DreamHost promises that it strongly believes in providing open source solutions support, 24/7 tech support, Stay clients site independently they’re owned. eHost/HostClear targeted the beginner-level users who could easily build their site using drag-and-drop tools and get the support of thousands of templates. Analyzing on the basis of reliability, pricing, user-friendly, support, feature availability, and budget plans, UniHost having an up growing reputation and review grade is highly acceptable. The most popular and best web hosting Bluehost offers excellent leverage starting $2.95/month with free domain, free SSL, unmetered bandwidth, easy to install WordPress which is just one click effort, and excellent support round the clock. The great discount is also located in the payment methods. You might check out here for every opportunity from this bonafide hosting provider. Most published HostGator also provide powerful web hosting service. It offers for all sizes of business from blogger to entrepreneurs and starting price at $2.75/month. It includes cloud, WordPress, VPS and dedicated hosting service with affordable and easy to operate service. You can learn more details here. SiteGround is a famous platform for web hosting, WordPress, WooCommerce, and cloud hosting users. It enables users to craft their web living with easy management. More than 1.8 million domains are getting their trusted and satisfactory service. Yoast SEO founder Joost De Valk also got its service SEO worthy. It’s starting price with a special price of $3.95/month for WordPress hosting. You can learn more details here. A2Hosting offers great hosting with higher speed assurance. They claim 20X faster web hosting service they deliver. Most considerable things, they offer unlimited disk space, unlimited bandwidth, round the clock support and most importantly all are subject to user satisfaction in terms of money back guarantee any time. Their starting price is $3.92/month including free SSL & SSD. You might learn more here..
FastComet is the world’s most stunning web service based on cloud hosting. It allows you to get all sort of supports round the clock for developers, designers and you. Their StartSmart price is from $2.95/month and renewal price is quite the same as well. Most conveniently the offer included quite free domain is forever free. You can learn more details here. GreenGeeks is a top-notch web hosting that famous for faster, well scalable, and eco-friendly services. It offers starting with $3.95/month with one free domain and 30-day money back guarantee in terms of satisfaction. Their unlimited services include SSD Disk Space, Bandwidth, E-mail Accounts, and Number of Hosted Domain is really great convenient for all parties including new bloggers. Learn more here. Hostinger is another serious hosting provider who offers the cheapest price only $0.80/month with guaranteed 99.9% uptime, 100 GB Bandwidth, superior speed performance, and 24/7 chat support 30-day money-back guarantee. They have shared, Cloud and WordPress hosting with domain registration and site builder. You might learn more here. Shopify is the world’s most dominating profound platform for eCommerce store and digital marketing solutions. It has a wide range of capability to make the E-commerce platform easy to handle, professional to serve and best user experience to cover the whole world for the client connection. It offers Basic Shopify plan price $29/month which includes all the basic for starting your new business. They have huge support plan as well. There are lots of integration to harvest your best potential using their intuitive platform. Dig out and learn more here. Wix is another great hosting for e-commerce platform which is most competitive with Shopify. It enables you to build a stunning storefront using tons of tools and product features. Using this platform you can get the not only advantage of the most attractive user interface but also provides user experience to make your eCommerce business outstanding and successful. Conveniently, you have the chance to start free. But their VIP plan offers $24/moth includes unlimited Bandwidth, free domain, connect your domain ( if you have ones), 10 email campaign, online store and many more. Learn more for details here. Above all alternatives of domain hosting providers are raised here based on researching all providers around the web, and checking out the strong reviews of the latest data. Select the domain name according to the blog name as mentioned in the Step1. Try to select a domain name within three words that strongly represent a high value & volume of the rich keyword. Then, all the registration process will be done by the support team of the domain & hosting company you selected. As a beginner, you’ll have to make sure to find the complete guide and support from the hosting company support team. They will do everything and instruct you how to install the WP platform on the hosting server. If you’re curious to learn the ways you might take a look here. 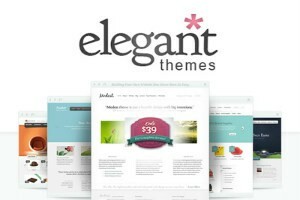 Elegant is authentically elegant for an excellent blogging theme. (1) It’s beautiful premium WordPress themes. You could get 100% complete access to their entire collection of 87 themes for the price of one! (2) Its design is Stellar, generated with their creative art and passion. Their goal is to create the best WordPress themes with a pixel-perfect eye for detail and a high standard of aesthetic excellence. Let them help you make your website simple, beautiful and professional. (3) It’s Advanced Features. Their plethora of shortcodes, page templates, and theme options give you full control over your website. Manage your site like never before by using the countless powerful features that come packaged with all of their themes. (4) They provide extraordinary support. They put a ton of effort into providing top-notch WordPress tech support to all of their customers. With their dedicated support staff, you can be sure that you will have your blog up and run without any obstacle. That’s why; we recommend this theme to our starter friends and readers for shiny blogging. In the Envato theme market, Themeforest is finest, fabulous and sophisticated WP theme maker. They have 30,073 website templates and themes from $2. WordPress themes, web templates and more brought to you by the largest global community of creatives. You might pick out your best theme from this place we recommend. GoBlog is one of them you might check and pick for your blogging which gets speed, SEO-friendliness, and user professional blogging interface. MyThemeShop is a perfect solution for your best web theme. It is a renowned place for your stunning and niche-worthy comprehensive premium WordPress themes. While you’re looking for a theme that will be SEO-worthy, creative professional, highly engaging, amazing UX and so on, everything they combined within the theme for best performance. They are growing, and now they have 529402 happy customers worldwide. You might check out for details. Kaspersky is your unbeatable hyper security for protecting your any interest online. Whether you go online shopping or banking or social media or surfing or downloading files, every moment Kaspersky is alert to protect your money, identity, and safety downloads. It protects you from any sort of small to giant threat including ransomware. You might take one now before counting any big loss. Learn more. Wordfence is simple but top security plugin and main defense of your free blogging resources and overall site with Anti-virus, Firewall, and Malware Scan. Akismet is being used by millions of bloggers, possibly the best way in the world to protect your blog from spam. It keeps your site protected even while you are sleeping. It is created by BestWebSoft to helps users protect WordPress website forms from spam entries with Google Captcha (reCaptcha). Ithemes is the best WordPress security plugin to secure & protect your WP site. But before start using it you’ll need enough training so that your site doesn’t become locked. Using this plugin protect your website by changing the login URL and preventing access to the wp-login.php page and WP-admin directory while not logged-in. WP-SpamShield is an extremely powerful and user-friendly all-in-one anti-spam plugin that removes spam from comments, contact form, and registration. Topic generation tools could provide you audience with engaging attractive article titles within a short time. It is one of the most important parts of blogging resources. You have a favorite topic in your mind, but you can’t form how to be done. Then just input three keywords of your, though (suppose, SEO, Affiliate, Email) and then you could find five topics in output from the tool. Portent is a fantastic tools you could find the topic idea while you sue these tools according to their guideline. This tool is created by Inbound Now. You might find you find your expected topic for content strategy. This is another useful tool built by SEO Pressor you might use for topic generation inputting keywords. Contentideator is a more creative tool that outputs you the more competitive topics according to popularity. You’ll just have to input a keyword or topic in the slot what you think to write about. Most popular content Idea generating tool is Buzzsumo – creator of precious blogging resources. It is the same as Contentideator to be input a topic or keyword in the slot. Contentideator doesn’t show up to 10 apex topic on the basis of major social media engagement popularity is enough to find the topic idea. If you’re going to run an online business, or already an entrepreneur, small business owner, affiliate or freelancer – you need a MasterCard. Because you’ll have to pay or get paying the global payments in outsourcing, freelancing, purchasing tools and resources. Then, you might undoubtedly take a Payoneer MasterCard. It’s simple and easy. Payoneer has bona fide and smart in every deal. More than 3 million users around the globe are using this card now. So, in terms of a smooth payment gateway, you might get a card now following the link below and learn more details. Qwikad is a popular ads platform. It’s free for local classified ads and paid for the others worldwide. You can post a classified ad throughout the United States and Canada pay $5. It is a great place to earn revenue appearing in any of your small business ads. It leverages online marketer who wants to get USAwide exposure because more than 57% traffic share is concentrated in the USA. You can take a free chance or an ROI-worthy paid classifieds ads (such as jobs, community, housing, events, services, and so on ) for your small business revenue mining. Whether you are a starter, or a small business owner, or an entrepreneur – your online business obviously needs significant online storage that is safe & sound for the daily deals. Then, Dropbox is the name comes first out of all you might imagine. Dropbox is outstanding in service, fabulous in usage, no worries in safety for your precious blogging resources. It provides easy creative support, share, and collaboration with the parties you deal with. You could bring your blogging photos, documents, videos, and any file anywhere and anytime to keep them up safe & sound. You can work from anywhere because your every doc is available even when you’re offline. It Sync files across all your devices, such as a PC, Mac, Android, iPad, iPhone, or Windows Phone. Send videos quickly whether it is large or small. It enables a doc preview and download before sending it to your any friend. It provides automatic backup for all resources while you turn on the camera. Photos will be automatically organized by date. You can generate the album and share as well. Dropbox’s security is well proof. It provides security features like two-step verification including share controls. It offers file recovery as well. Download Dropbox for free. Join the 500 million users’ club. Content is not only the king, queen as well who attract an audience with value and verbs. Grammarly is the most dominant perfect tool in the world that makes the content wiring in the right order in terms of keeping the value out of misspelling, plagiarism, and grammatical errors. It allows custom input open graph metadata to any content type. In terms you site branding requirement, the Genie WP Favicon will be helpful in adding a favicon to any WordPress site with ease. Most popular just a contact form plugin they update regularly. It is simple but flexible. A useful plugin that quickly increases reader engagement with your posts by adding related posts in the footer of your content. Evernote is easy, simple and works amazingly well as a file cabinet of an office. It valuable works for this exact purpose in content planning and scheduling your blog content. It is free – is enough for bloggers, though there is pro-version as well. Asana is a free easiest web and mobile application for teams to track their work and get results. It is a nice Manager for all your social media marketing in one place. Hootsuite helps to find prospects for serving customers. While you start using it could feel it’s usefulness that helps you do more with your social media marketing. IFTTT means If This Then That, is a free web-based service that helps users to generate connections of simple conditional statements, called “applets”, which are triggered according to changes to other web services such as Gmail, Facebook, Instagram, Pinterest, Twitter, Fitbit, Slack, Skype, and hundreds more. LastPass is a trustiest ultimate Password storage and web platform that securely remembers your passwords so that you don’t have to worry with the insecurity of your password keeping. As usually, every blogger has to keep up his lots of passwords. Then, it might work for your safe, secure and fast blogging. It is a free password management service that preserves encrypted passwords in private accounts. Wunderlist is a simple and secure task management tool helps to get stuff easiest way. Wherever you are no matter, you could manage, share multiple work projects. It helps to manage personal or professional to-dos as well. Any device is suitable to use this platform. Canva is an online powerful image editing tools, creates beautiful design and document. It helps anyone to easily generate engaging content. It helps to create a variety of amazing content for a successful social marketing campaign including infographics and slides show as well. Pixabay is an image stock site with a huge number of photos, designs, and clip art quite free to use for any purpose. You might use blogging images from this source whether linking a no-follow courtesy link with the source. Dreamtime is also royalty-free stock photography like Pixabay. You could download from over 51 million stock photos, illustrations, vectors & videos from this source. They claim Dreamtime is the world’s largest community in royalty-free stock photography. Image Source is also an alternative royalty-free provider of high-quality stock photo, clips, images, video, and footage. Another source of image contents. You could find more than a million of free vectors, Photos, PSD, icons and all graphics resources for your blogs. Google SEO loves the speedy site. 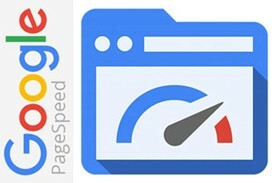 The PageSpeed tools help your site to analyze and optimize your site following web mastering best practices. Checking the data with PageSpeed Insights you can identify ways how to make your site faster and more mobile-friendly blog asset. To analyze your site performance, what you’ll have to do is click on the Use PageSpeed Insights and put your site URL in the opened slot for analyzing the site. W3 Total Cache is highest rated most complete WP performance plugin. This popular tool could dramatically improve the speed and user experience of your site. WP-optimize is WP #1 most used optimization plugin that cleans up database easily and safely without manual queries. Yoast SEO is the first and authentic all-in-one on-page SEO solution for WordPress platform users. It is free, but there is a premium version as well. It helps the users in content analysis and much more issues. We use it happily for long and recommend our readers. 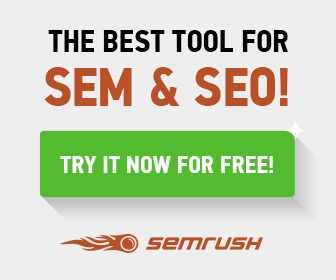 It has the most powerful and effective Keyword Research tool. Works like a superior long tail keyword research tool. Mongools is the most emerging powerful SEO platform includes some dedicated tools. All you need to open an account to get benefits of multi-tools that will amazingly help your businesses. SERPWatcher: Helps to watch the keywords rank in the search engine result page It enables you to improve position determining the next operation. KWFinder: It leverages you to get targeted keywords that can beat the competitors to boost the SERP position. As a definitive system tool, it will help you to save your huge time for operating the clear improvement. LinkMiner: Your backlink analysis is most important to figure out the off-page campaign for more link building to give a boost in the keyword ranking. Keep learning to know all the amazing tools for your business. Rankwatch is a simply great tool for achieving great SEO result. It leverages in all the definitive efforts for organic traffic delivering actionable three-fold data. It provides ranking data, backlinks data and most importantly competitors data for boosting the search traffic. This tool is literally a hybrid software to achieve the highest result using by an individual or a team. learn more. Squirrly is an integrated SEO marketing tool-set that priors to the SEO campaign at the center point. It includes the tools – Squirrly SEO, Squirrly Social, ContentLook, Education Cloud, and Starbox. Most encouragingly, many famous brands like Microsoft, BBC, Search Engine Journal are using this tool. You might try out to uncover the true power of this tool visiting the site. MySiteAuditor is a unique SEO tool for helping businesses to grow more leads. This tool allows using audit forms, web page builder with personalizing options. You can uncover huge leads using their unlimited forms embedding on your site. You have a chance to generate SEO report auditing web pages for your sales meeting while you are on a sales job. For any support, you can email, chat or call the provider anytime. Learn more. SEOmator is another SEO tool provides free SEO audits. Getting more benefits using these tools, their starting plan is $5/once for your single project and allows to audit 100 URLs per projects.. The features of this tool include tons of functions for various business packages. You can learn more to know the whole potential of these professional tools. Keep learning. WebCEO is an experienced professional SEO tool serving in the SEO industry since 2001. As a hybrid power tool for organic traffic, it works not only for SEO, Social Media Marketing and competitor research as well. This tool is the most effective partner for the team based SEO operations and marketing campaigns. You’ll find all necessary actionable data to empower your effective campaign. There are 1.28 million trusted clients of this dedicated tool. Learn more. SE Ranking tool is a cloud-based powerful SEO software to meet the search marketing requirement for increased revenue. It includes features of SEO Tools, competitor SEO research, PPC research, social media management functions. The starting price is $7/month for 5 websites including tons of functions. Learn more. (1) Website owners: Any sort of websites or blog who can easily gain top search engine results. (2) SEO Companies: As this submitter is a most advanced SEO tool that will help to secure the client’s site rank and productivity. (3) Small and large media companies: It enables as blog manager software to publish their daily content to thousands of blogs every day. (4) Big corporations: It works for SEO purposes and as blog manager software to publishing their company news, reviews and press releases to thousands of sites, blogs, and press release websites. So, you can try out the performance of the tool for quick ranking and making money online. It is a popular plugin that enables the user to check the broken links in your blog. It also indicates missing images and notifies you on the dashboard for further remedy if any are found. It allows you to measure your advertising return on investment (ROI) rate as well as track activities of your flash, video, and social networking sites and applications. Therefore, take the leverages using Google Analytics – sign up for it, add tracking code, learn about your audience and manage your productivity on the site. You might use this plugin which makes it simple to add Google Analytics to your WordPress site, adding lots of features, e.g. error page, search result and automatic outgoing links and download tracking. Google Search Console (formerly Google Webmaster Tools) is a free web service by Google for site users. It enables users (webmasters) to check indexing status and optimize visibility of their websites. Use Google Search Console to monitor Google Search results from data for your site properties. Keyword Planner is a powerful keyword research tool and blogging resources generator. It creates keywords for building the new campaign for Search Network or expanding existing ones. You can search for a keyword and ad campaign ideas, find historical data see how a list of keywords might perform, and even generate a new keyword list. It is a free AdWords tool. It can help you select competitive bids and budgets to use in new campaigns. The Power Suggest Pro is a powerful keyword and market research tool that leverages on multiple search engines to reveal millions of popular search terms users who are typing into search engines daily. Power Suggest Pro is one of the Best Keyword Research Tools, because, there are very few areas, where you could find keywords that people are using search engines. The Google Keyword Planner is one of the most popular sources almost every keyword research tool covers data, because, they are made based on this mega tool only. Unfortunately, the keywords in Google Keyword Planner sheet are often too common and not elaborately enough as their real intentions are for use with paid advertising on the Google Adwords platform. On the contrary, keyword power suggests pro predicts what users are going to use or type, offer the most relevant, descriptive and effective keywords available. Keyword Tool allows you to uncover the keywords that people are using the terms Into Google Search Box. This Keyword tool is the best alternative to Google Keyword Planner and other research tools. (3) You can use it absolutely for free, even without opening an account. UberSuggest is your long tail uncommon keyword creator free tools. It provides a quick result on the keyword page. It suggests keywords not only Google keyword planner but also searches from Bing for the powerful keywords. So, you might use ÜberSuggest to finding new keywords quickly which are not available in the Google Keyword Planner. It provides tons of SEO friendly keyword ideas for PPC and content marketing campaign. Clickbank is a biggest online retail outlet for over ten thousand digital product vendors and they’re more than 100000 active affiliates around the world. The ClickBank aims to become a magnificent platform to serve as a connection between digital content creators or vendor and affiliate marketers, who the affiliates then promote them to buyers. You might make you a Clickbank Affiliate as well. Amazon.com is the world’s largest online retailer and biggest sources to the affiliates to monetize physical & digital products in their blogs for making money online. Google AdSense is an advertising network and ads placement service by Google. It is the biggest network whereas bloggers or website publishers want to display targeted text, video or image ads on their blog and earn money when site visitors view or click the advertisements. A popular plugin that easily deployable on your website. Add an image that has already been uploaded to add to your slideshow, add text slides, or even add a video. Options and styles are customizable for every single slideshow on your website. A suitable WP plugin that gives you complete control over the rel=nofollow tag on an individual link basis. We do use it to make the out-going links no-follow. This WP plugin enables you to manage and display a simple list of affiliate products and banners. Pretty Link Lite allows to shrink (or link shortening), track and share any affiliate URL on the Internet from your WordPress website! It is a popular and huge useful WP plugin that generates embedded beautiful and feature-rich tables into your posts and pages, without having to write any code. It creates and displays targeted Calls to Action (CTA) also embedded the way to set up display with CTA button on your WordPress site. This popular plugin allows making display ebooks or any digital products easiest way to sell from your WordPress site. If you have a WordPress blog and you didn’t yet start using this Blog2Social tool, you might miss a great potential to boost your traffic. It allows you to automate the bog content posting in the major social media including Medium without canonical issue. Every share is customizable and you can edit for image or heading or new text in the blog content before you automate the schedule. I’m sure you will be excited user while you come to unlock its whole potential of usage for your regular blog promotion. Learn more. It is a popular good out looking WP plugin that shows nice share buttons for your pages including AddToAny’s universal sharing button, Facebook, Twitter, Google+, Pinterest, WhatsApp and much more. You could find it how it’s looking like we use on our pages. The buffer is a smarter, simplest and most powerful media tools to share instantly or scheduled-share what you want to go share according to an expected different time on Social Media. FB is a most popular more than 1.55 billion monthly active users, who are interacting and engaging for their interest. There are at least 10 tools/ways to master your FB marketing – you can’t ignore for acquiring a huge amount of traffic. Twitter is an online news and powerful social networking service. More than 320 million users post their short 140-character messages and read the tweets. You might learn The Easy Ways How to Drive Traffic from Twitter to Your Blog. Pinterest is a free website more than 100 million users use this amazing image-based social media platform. Users can upload, save, sort, and manage blogging images, infographics and even video known as pins. Every board is formed there for image collection according to blogging category is called pinboard. You have enough scope to drive traffic from Pinterest and strategically monetize your affiliate links as well. Google Plus (G+) is a social networking service from Google. It started a journey with many features as one of the competitors like Facebook. About the same idea to others, it introduced for social networking services, but it provided more freedom and Tran Pera Cy to the users in sharing and interacting. Usage of circles, Hangouts and community groups are popular for social networking you might not miss the chances. LinkedIn is the world’s largest network for business professionals and employees with hundreds of millions of members. Every blogger is a small businessman and there is, of course, he has an interested community in the LinkedIn. There are many tools there like publisher tools, group, company presentation, and main focus profile to take the chance for personal branding and encircling the interested prospects from this largest professional LinkedIn. LinkedIn Publishing (Formerly Pulse) is a powerful professionals’ platform for content marketing. It leverages drive readers to the original post of your blog while you write a proxy article or relevant content that reflexes the powerful solution of something that the audience look for. Therefore you might take the chance of this place for promoting your new blog. SlideShare is a powerful marketing tool provides slide hosting service, acquired by LinkedIn in 2012. It enables users to upload files of PowerPoint, PDF, and/or Keynote either privately or publicly. SlideShare helps the slide can be viewed on the site itself or placed on the blog or other places embedding the content. It is one of the prime potential zones for traffic you could generate for your blog. Instagram is an online mobile app that allows sharing photo, video, and leverages social networking. It enables users to take photos and videos, and share them either publicly or privately on this app. It also enables to share the contents to the variety of other social networking platforms, such as Facebook, Twitter, and Tumblr, so on. Instagram one of the major social media can be generated enough interested traffic for your blog. YouTube is a free video-sharing online easy to watch platform. You can easily upload your created own videos configuring or optimizing significant keywords to share and promote to a large audience. It is a most popular site on the Web, with visitors a total number of people who use YouTube is 1,325,000,000. The total number of hours of video watched on YouTube each month is 3.25 billion. Quora is the most popular platform for Question & Answer that works for knowledge sharing, problem-solution, and recommendations. You might take it one of the free blogging resources that provide the valued blogging idea and an answer to your problem you might be facing. Here questions are asked, replied, edited and organized by the community of users. It is a wonderful place of gathering by newbies to experts around the world for enriches their own productivity and practice. If you have comfortable expertise to share in the Quora, be sure that you could find a good number of traffic from Quora to your blog. Recommended reading: Easy Ways How to Drive Quora Traffic to Your Blog. Medium is a free blogging resource and powerful content marketing platform, an online publishing place to read, write, and interact with the stories that matter most to us. While you would like to promote a blog post, you might write a light content focusing on the core issues indicating the link to your inbound blog post for detail read. Sometimes you might write a thoughtful story or article linking to a relevant post in your blog. AWeber is a sophisticated advanced email marketing provider. More than 100,000 email marketers trust AWeber and growth hacking with this happy community. If you could send your emails in the right way you’ll be able to keep your brand top of mind and stay connected with your customers and new prospects. When you’ll join this community your email automation will begin, you get access to all features and a team that’s 100% devoted to your success. It will save so much time by having an email campaign that is intuitive and works; it feels like an extension of how you think. Easily conduct campaigns creating automated emails with their drag and drop editor. An autoresponder will follow up while you send a sequence of automatically delivered email. Email deliverability rate is higher than as usual of others to your subscribers. Expert customer service is excellence. It allows easily building your list quickly with great looking mobile responsive sign-up forms. Email newsletters service is simple for the beginners and advanced to the experts. Build your list quickly with great looking signup forms with style. (1) The ability to import, grow and host an email database easily. (5) It provides split testing is more comprehensive than that provided by several competitors. So, in Getresponse, we recommend using an ‘Email’ plan is cheaper than most of its key competitors. Its reporting and comprehensive split testing features are very keen and strong. It sends responsive emails and leverages you to preview smartphone versions of e-newsletters quite easily. It comes with a useful landing page generator. Its free trial is an excellent opportunity to grow up the starters that Getresponse offers generously. You can try out all its clean features free for 30 days without credit card details. It sets up apart the marketing automation functionality. Customer support is quite comprehensive and includes phone support as well. Learn more. Sendinblue is a great powerful email marketing service that makes your campaigns easy to earn the best ROI. It helps to perform your best transactional messaging and marketing automation successfully. This platform sends emails over 40 million to the 50 thousand trusted users’ subscribers and customers. The starting plan that Sendinblue allows beginners to take the free plan for unlimited contacts. You might take a tour in the site here. ConvertKit has a big impact in the email marketing users community. It enables users to connect with their prospects and customers in an influential manner. That is why it helps to grow subscribers and business faster. Their starting offer is $29/month for 0–1k subscribers. Learn more about their exciting full features. Benchmark is a popular email marketing service, dedicated to grow clients business easily faster. They have neat and clean caring service and integrating power to combine third party tools for better result. Most importantly, they have free offer to send emails to up to 2 thousand of your subscribers per month. You can access to their more basic features and get upgraded when you need indeed. Keep learning for more. ConstantContact is a maturely aged ESP having over 20 years of experience. It is still growing with fabulously bold for dominating in the email marketing arena. Their service enables you email deliverability rate more than 97%. It offers starting price $20/month with first month free for unlimited email. Keep learning for detailed features. SendPulse is a state-of-the-art simple ESP that offer multi-channel marketing platform. Their communication system includes more features (such as SMS, Viber, Facebook-chatbot, web push) than as usual offers by competitors. It has wonderful integration with third party apps and tools, such as WordPress, WooCommerce, Gmail, etc. Surprisingly, they offers most generous forever free plan for up to 2500 subscribers. Learn more features here. Mailjet is a most affordable shiney service for email marketing that achieves amazing success. Their smart ESP enables smart performing by the users for transactional email and SMS, and automated email marketing with great reputation. The ESP (Email Service Provider) includes as usual all sort of email marketing features best for any startups and beginner bloggers. Their pricing plan is most affordable and exciting for the beginners because of forever free plan for 6000 emails/month. You might keep learning for more other surprising benefits. SumoMe is a free tool provides you need to grow your WordPress site using the plugin that enables your readers to join your email list, share your articles easily and optimize with analytics. This free tool comprises list builder will let you generate a fascinating lightbox pop up to build email subscriptions. There are hundreds of ways to ask your blog visitors for their email address in return for your irresistible valuable offer. You might not be missed anyhow to use this productive plugin for boosting your blog revenue. MailChimp for WordPress is one of the free blogging resources and popular email marketing provider. It has many features, you might get a tour there. Open a MailChimp account first. Then use the plugin it for WordPress (by barcode) in your site. Adds various highly effective sign-up forms, tools, and methods to your blog for a worthy lead generation list and mailing purpose. Fiver is a top-notch state-of-the-art freelance market place for selling service and biggest outsourcing zone for entrepreneurs. You have easy chance to outsource any skill to meet the urgent requirement which is related to blogging business, startups, ecommerce, online small business and entrepreneurship. Learn from the origin to check the potential you need to meet-up. UpWork is the world recognized marketplace for freelancing and outsourcing. It was formed by rebranding Elance+oDesk in 2015. Each of the freelancer or small businessman or entrepreneur could meet online in Up work platform for hiring or get hired to complete any online project. UpWork’s role is like a mediator to allow a world-class facility both of the parties and arrange payment exchange (using a credit card or PayPal) after finishing the project. So, you might outsource any of your blogging requirement from this marketplace all sorts of freelancers are available there. Freelancer is world’s largest freelancing and outsourcing site like UpWork. They claim more than 10.3 million projects they have launched, 24/7 Support, 90% rehire rate, 21.3 Million plus trusted users they occupy now. The major freelance jobs are being provided by their certified freelancers could be mention Graphics & Design, Websites & IT, Writing & Content, Sales & Marketing, Engineering & Science and so on. You might get help any of the relevant things from this marketplace as well. iWriter is an online content marketplace and biggest platform to get fastest, easiest and most reliable content written for your blog post, articles, press releases, Kindle books, Amazon review, cover letter and so on. professionally and at an affordable price. If you’d like to write there, you have the chance to be an iWriter as well. More than half million iWriters write daily. So, if you’ll like to get high ROI grower content resource at an affordable price for your entrepreneurial dozens of blogs, you might post your project there. The design is one of the most important blogging resources for a starter’s blog. Good design is the pure influence, trust, and secret key to growing brand and business. 99designs is the world’s biggest and leading design marketplace, empowered by a massive community of contestant designers and business owners. There are 364,571 happy customers around the globe who have small businesses and startups are using 99D’s service to get inspiring logo design, website logo, packaging design, T-shirt design, book cover design, business card design, websites, and graphic designs, so on. You have lots of freedom to pick out the best design because designers compete to give you a best one and you pick out your great one. The innovative and great designers in the 99designs community deliver more than 32,898 designs daily and earn more than $150M. You might sign up as a designer or pick out your best graphics for making your post more outstanding to the audience. Latest marketing books or tech books go with the time of new idea and knowledge. The small business idea, implementation and management come out powerful knowledge base. It helps entrepreneurs increase to brainstorm in any business obstacles, enjoy any challenge and grow new business. You might become an influencer or a magnificent mentor in your own field of expertise by reading some priceless books & resources from Amazon Store. We recommend some selective books on the basis of criteria – best review, best seller, the power of topic and relevance of the professional growth hacking that you might read for your profound base of small business knowledge and blog business excellence. If you feel a fear to start a blog, you might go with the amazing guidance by blogging guru Patric Chan or Mark Ling who will show you the surefire way. They’ll support about everything how to start & run a blog that earns a remarkable big figure at a very silly cost. Each of them has a successful large bloggers community who started about like you. You could acquire a spirit of happy blogging environment while you are a member of them. You might Subscribe Now for resourceful posts direct in your mailbox. Get a journey of happy blogging!